Syntiro, formally Maine Support Network, is holding their 25th annual Winter Retreat on January 28 and 29th at Point Lookout in Northport. Syntiro believes in honoring and supporting educators through fabulous professional development opportunities. This year will prove to be an exciting and engaging learning event sponsored by the American Recovery and Reinvestment Act of 2009 (ARRA, www.recovery.gov). Two exciting projects that have been under way in Maine to create ways to embed technology into our teaching and learning will be showcased. A tremendous group of professionals who are committed to improving teaching and learning for all kids using arts and technology will be presenting. Online Educational Resources (OER’s) will be introduced so that you can use them to improve teaching and learning in your classrooms. Bring your laptop because they will be modeled for using technology in the sessions you choice and, as always, continue to be immersed in the principles of Celebratory Learning. Join us Friday evening, the 28th, at the banquet as we open the Retreat and celebrate Imagination Intensive Communities. 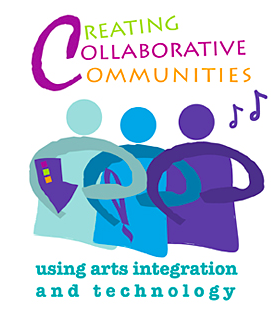 The 2010 Imagination Intensive Communities (IIC) project was a collaboration between the Maine Alliance for Arts Education and the Maine Department of Education (funded by the Kennedy Center, the Betterment Fund, the Maine Department of Education, and the Maine Arts Commission) to identify, research, celebrate, and share information on communities in which schools and organizations work well together to provide students with a variety of imaginative learning opportunities. The 2010 program identified 6 Maine communities: Arundel, Blue Hill, Camden-Rockport, Deer Isle-Stonington, North Haven, and York. Additional communities will be identified in 2011. The imaginative learning opportunities in these communities include arts festivals, creative technology projects, collaborations with museums, and digitalized local history projects. The George Stevens Academy jazz band part of Blue Hill’s 2010 IIC and a Men’s Ensemble from Camden Rockport’s 2010 IIC , will perform at the Retreat. North Haven’s technology project will be highlighted in a discussion on Friday evening. Saturday will have a variety of workshops that you can select from on several different topics. PLEASE NOTE: The different POP regions each have a separate plan on how the funding is distributed to their region. For conference registration and more information please go to Syntiro’s conference web page. You are currently browsing the me arts ed blog archives for the day Wednesday, January 5th, 2011.